How to Appreciate Effectively…Both Personally and In Business!! “It is always better to give than to receive.” This is an old adage that has been used through out out history to encourage us to give freely to each other. For the most part I’d have to agree. I truly find it rewarding to give and create gifts for others. Ever since I was little, I enjoyed creating experiences for the people in my family- whether it was putting on a show for everyone in the living room, or finding objects that I could wrap myself and give as a gift, I always liked to see how others would react to a what I perceived as a great gift. But have you ever given a gift or a card to someone that didn’t exactly react the way you thought they should? I have, and it would really frustrate me. I would spend hours creating something original and thought provoked, only to be presented with an “Oh that’s so nice…” -not exactly the reaction I was looking forward to after hours of work. People respond differently mainly because we are different. We like different things and have different tastes. So it goes without saying that we have a different opinion on what is a good gift or bad gift. In the book The Five Love Languages, the author addresses the five main ways that humans perceive feeling “loved”. 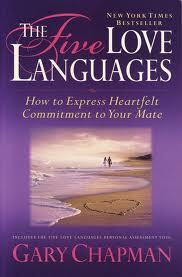 This book has mainly been a great reference for married couples. However, the same principles can be applied to appreciation in general. Sometimes it isn’t the method of appreciation itself that is the issue, but using the right method with the right person is critical! A husband, wife, or child that feels appreciated will respond differently to you- in a positive way. The same can be said in business. A client or customer that feels truly appreciated will give you repeat business and loyalty. While an employee that feels appreciated will perform better. The best way to appreciate someone is to learn HOW they like to be appreciated. So let’s take a look at the Five Love Languages and how you can be more effective in your appreciation tactics! This individual loves to get complimented! They like to hear that what they are doing or did matters and had a positive effect on others. This person needs you to tell them why you appreciate them. Send a greeting card with a personalized message about what they do or did for you. During a meeting or formal gathering, stating in front of others how you appreciate what this person did or currently does. A gift such as a framed personalized poem about the person, or even a picture of the person with affectionate verbiage about them included in the picture. With the words of affirmation person, the card will always be more well received than an actual gift. The Quality Time person needs you to simply spend time with them. Your presence means more than anything! They want to see and or talk with you. Call them personally to speak with them. Especially on days that are important to them (birthdays, anniversaries, etc.). Deliver a special gift to them in person. Bring it to them yourself! Schedule a time to have dinner or sit over a cup of coffee. With a Quality Time person, your actual presence is a gift. As the title implies, this person likes to receive gifts. It is important to remember special dates such as birthdays, anniversaries, etc. Every date is a big deal to them. This person also would enjoy a gift “just because”. Big or small, they just want to know you’re thinking about them. The obvious- buy them a nice gift on a special day. Buy/send them a special gift, “just because”! 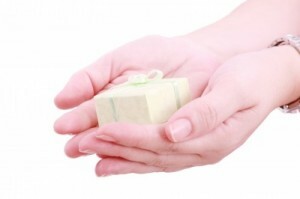 Leave small gifts in places where you know they will look- the bathroom mirror, kitchen table, their work desk… these individuals thrive on little surprises. With a Receiving Gifts person, anytime is the right time for a gift. You can never give too much! “Your actions speak louder than your words” is the motto for this person. This person feels most appreciated when you do something to make their life easier. Take a chore off of their hands- Vacuum the floor, wash the dishes, take out the trash, fix something that has been broken. Anything that was on their to do list- do it for them! In the office, you can handle that problematic customer, take on their troublesome paperwork for them, or simply bring them a cup of coffee in the morning. For the Acts of Service person, Hearing the words “I can take care of that” will make them giddy! The simplest gesture will make the Physical Touch person feel appreciated. Don’t worry, it doesn’t have to be anything too extreme! A pat on the back or the shoulder. Where appropriate, a nice firm heartfelt hug. Of course, for your spouse or partner you can extend that to a nice back rub or massage. If you haven’t read the book The Five Love Languages yet, I highly suggest you do so. It will help you learn to appreciate in the “language” of your recipients, and your appreciation will be better received. You will be able to effectively nurture the relationships around you and in turn, you will become known as the person that uplifts others to brighten up their day! This entry was posted in Customer Retention, Customers, Dealing With People, Employee Incentives, Gifts, Referrals and tagged appreciation, customer appreciation, Employee, gifts, Relationships. Karisa is a 30 something mom, music educator, and entrepreneur. She loves to create beautiful ribbons, bows, and gifts for all types of occasions! ← 10 Totally Awesome Valentine Gift Ideas! 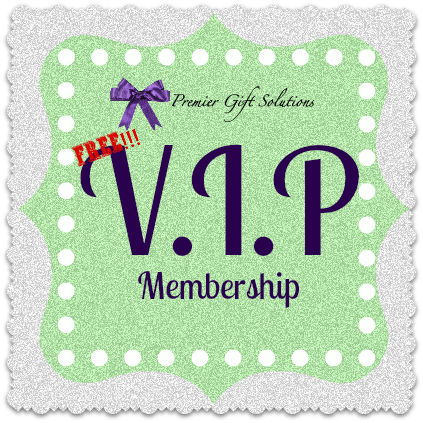 Yes, add me to your V.I.P List!